Please click on heading to expand. The Robokits India team believes in innovation of new products and design techniques to meet the requirements of a very swiftly changing world of technology. 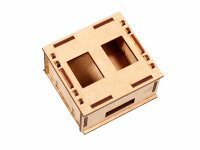 There is a demand for reliable technology that is easily available and integrate-able into the new and proven designs. Unfortunately, there are a few who are able to meet this demand with the quality, reliability, intuitiveness and innovativeness that the technological world has come to expect. To meet these demands and the challenges that come with it, the Robokits India team has supported the establishment of a number of design houses and innovative groups. This initiative began in the year 2009 and since then we have successfully launched three design houses and brought to the market a number or products and solutions to meet the demands of our corporate and industrial customer portfolio. To strengthen the work force of our ecosystem to be able to understand and tackle the challenges in design, development and manufacturing of electromechanical goods and products. Below is a list of application that our design houses collaboration have ventured into. The products listed here are in production and being offered to commercial and industrial clientele. Firm: Dazzle Robotics Pvt. Ltd. 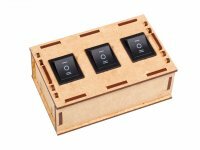 The Multi-Axis Time-lapse and Record-Play Controller features precise encoder feedback based dc servo motor control. This Controller allows the user to take repetitive camera shots with a precise movement of between shots on the axis that the camera is mounted. The movements and overall motion can be recorded manually or automatically generated by the Controller in advanced modes without for video industry and also for Time-lapse DSLR based videos. 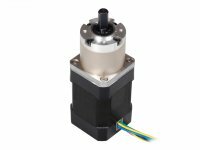 Each axes of is equipped with a magnetic encoder to send position information to the Controller. The Controller features an independent PID feedback control loop for each axis running at 50Hz to control the position of the output shaft of the axis within 0.08degrees. Recording of such accuracy in position can easily be reproduced multiple times by the Controller providing shot repeatability like never before. An innovative relative positioning system enables the user to set the start position only once at power up and needs no marking of start position to every single recording. The Controller also features a key-frame mode which is widely used in video industry. Here the user does not need to record the complete movement of all the axes. Instead, the user can just set two key-frames and watch the Controller interleave the movement of the slider/pan tilt head/pan tilt Dutch head, all the axes at constant speed mode between the frames. 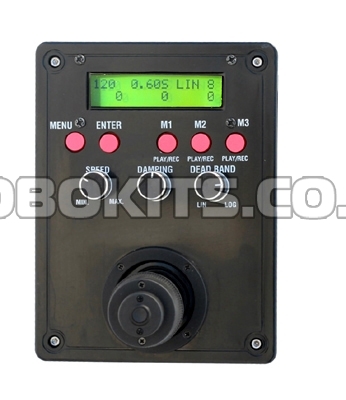 An LCD screen in all modes helps users to navigate/operate the equipment and keep track of details like speed/time/other parameters at every point along the motion path. The Menu is easy to navigate using the onboard joystick. All settings can be adjusted via the menu table and just with using the joystick. Basic Manual mode also is very straight forward, using joystick with max-speed, damping and linear and logarithmic dead-band knobs provided onboard the Controller. The controller Records all movement with exact 24bit positions at every 20ms in its onboard memory which is limited to about 25 minutes for each recording. All recoding can then be played back either by “Live Playback" or in "Time-lapse playback" modes that use the PID position control system to maintain spot on repeatability. In addition, an Intervalometer for DSLR cameras is provided integrated within the Controller for Time-laspe videos. "ShootMoveShoot" mode and "Stop Motion" mode and "Advanced modes" use the Intervalometer. The User can set the "Exposure time", "Shutter delay" and "Number of Pictures" for these modes. 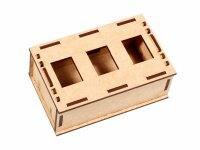 Rhino Motion Control Solutions is a design house that is developing and producing electronic cards for industrial motion control applications. These cards are being used for robotics applications as well. RMCS-1102 is Rhino Motion Controls advanced micro-stepping drive designed for smooth and quiet operation without compromising on torque and control at higher speeds. 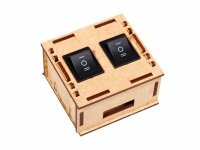 It has short-circuit protection for the motor outputs, over-voltage and under-voltage protection and will survive accidental motor disconnects while powered-up. 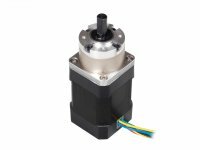 The RMCS-1102 achieves micro-stepping using a synchronous PWM output drive and high precision current feedback and this is absolutely silent when the motor is stopped or turning slowly. 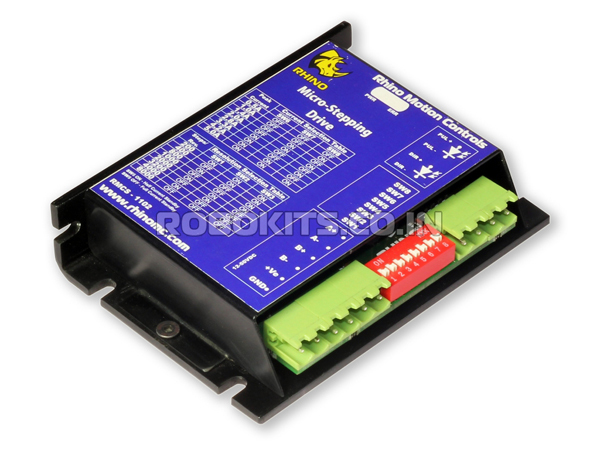 It virtually eliminates stopped-motor heating regardless of power supply voltage. Closed-loop current control is achieved through a software PI control loop running at 10KHz. Wired In is actively development wireless solutions for clientele that are integrating solutions for Automatic Meter Reading, Smart Grid Systems and Home Automation and Control applications. Wired In is invested in development of its own wireless communication stacks and application protocols that will be better directed to the needs of the industry. 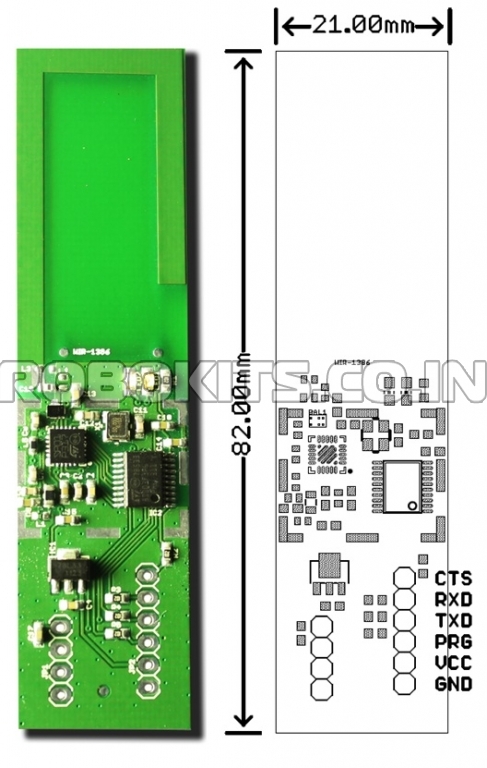 Wired In has launched a low-cost and powerful wireless module (WIR-1186) targeted to these below applications. In addition Wired In has integrated a WIR-METERING Stack directed to the wireless metering readout applications. 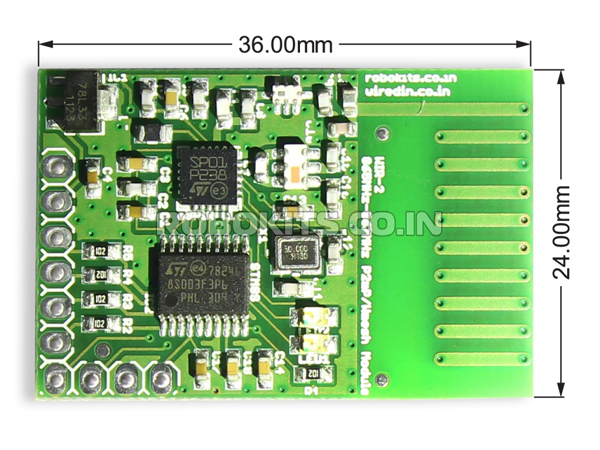 Wired In has developed a low-power sub-Ghz RF module that integrates a RF transciever antenna and communication stack on a micro-controller. The module is extremely price competitive and offers a variety of network stack options, for example, point-to-multipoint, point-to-point, mesh-networking with multi-hop capabilities. All stacks models offer listen-before-talk on the modules making sure that RF traffic is non-collusive. Acknowledgements based communication is followed when required. WIR-METERING network stack offers dynamic mesh forming on an on need basis only and assumes one concentrator per mesh network. All network stacks offer a transparent UART interface to allow for interoperability between meters and devices from different vendors that are enabled with the RF modules. Encryption is offered on all data payloads and it transparently handled by the module. Vehicleonmap.com in collaboration with Wired In is supporting clientele with specialized needs in online real-time tracking of their assets and vehicles. 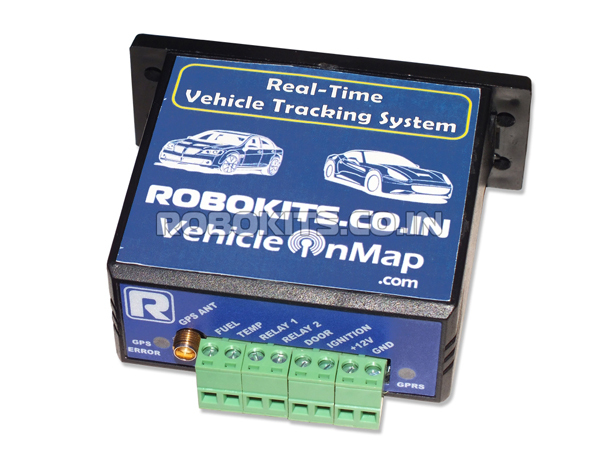 VehicleOnMap.com is a Real-Time Vehicle Tracking System, designed and manufactured in India primarily for individual customers and small business. A real-time vehicle tracking system installed in any vehicle (car, bus, truck, motorcycle, boat, etc.) allows, owners, managers, logistic teams and finally loved ones to keep track of where their assets are at any time. This product is easy to install in any vehicle and even easier to use and take advantage of its features once up and running. Most importantly it comes at an affordable price and yearly service fees. VehicleOnMap.com boasts a variety of tracking and reporting features and its very own android mobile app..